Do you want your landscape design to look just like a good painting? Do you want your landscape design to improve your outdoor living experience? Look no more if you are situated in Northern San Joaquin Valley and East Bay area as Design West Landscaping is composed of creative landscape designers that can turn your outdoor living spaces into a place of great relaxation. Design West Landscaping provides a great deal of satisfaction to homeowners in places like Brentwood, Clements, Danville, Sacramento, and Modesto. We do this by creatively bringing together all of the different elements of a landscape to form a beautiful garden. There are a lot of considerations to make when making a fantastic landscape design. And fortunately, the landscape designers of Design West Landscaping have different landscaping ideas that will suit the personality of every homeowner. 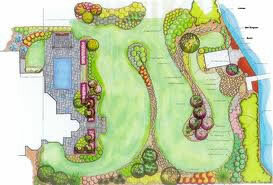 Each landscape designer also knows the best landscaping design that will reflect the image of a business. Essentially, the landscape designers of Design West Landscaping are very attentive to the details when executing the landscaping design. The proper balance of the greeneries and everything that compose a landscape is carefully observed. In the same way, the combinations of bright and dark colors in a landscape are carefully considered to create an attractive landscaping design. If you aren't aware, both light and dark colors can make a yard look smaller or bigger. Our landscape designers ensure that the landscape designs they do will look vibrant in any season by combining the flowers that bloom in different seasons. The communities in Northern San Joaquin Valley don't have a lot of problem with this as their land can almost grow any type of plants. 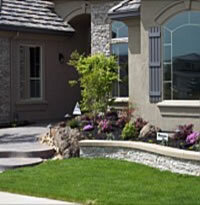 The landscape architects of Design West Landscaping are known in the communities of Lodi, Manteca, and San Andreas to create unique and practical landscaping plans that result in outstanding landscaping designs. Each of our landscape architects is a renowned landscaper that does not only follow their landscaping ideas but also considers the concept of our clients. Our landscape architects recognize that different people have different requirements. Families with small children for instance will require a sizable lawn area where children can gleefully run and play. Families with older children may require a sports court. Meanwhile, some people will require a large lawn area for entertaining. Some may want to have a stunning garden. Others, on the other hand, may simply want a private hideaway. 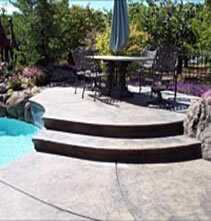 Design West Landscaping is fully aware that there are a number of elements that can be included in a landscape. Because of this, we make sure that our landscape architects and landscape designers will properly orient our clients and include everything they want to see in the landscaping plans. Our landscaping design also varies. Each landscaping design is inspired using different styles. These are formal landscaping, informal landscaping, natural landscaping, and English and Japanese landscaping. However you want your yard to be transformed, you can be confident that Design West Landscaping is your best ally to give it with the most amazing landscaping design. Wherever you are in Northern San Joaquin Valley and East Bay area, whether in Brentwood, Clements, Danville, Sacramento, Modesto, or Stockton, you can trust us to transform or improve your outdoor living space in the most fantastic manner.